[Indy Star] – It was Tuesday night at the Hooters on Georgia Street and fans were there because a professional basketball player had invited the city of Indianapolis to join him after his first game at Bankers Life Fieldhouse as a Los Angeles Laker. 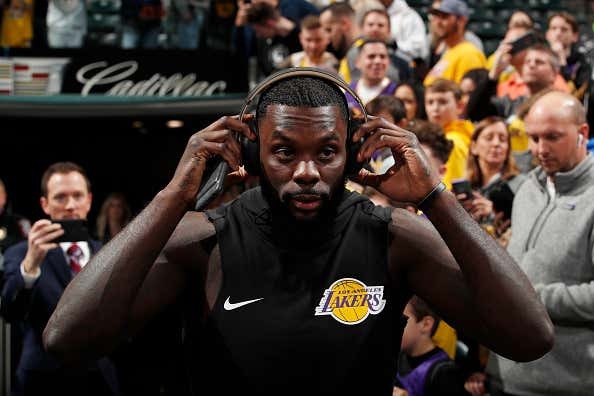 “And I’m definitely going to go to Hooters after the game,” Stephenson said with a laugh during the Los Angles Lakers’ shootaround Tuesday morning. “Definitely looking forward to that. Everyone meet me at Hooters after the game! Alas, Stephenson couldn’t make it. He scored 13 points in 28 minutes but the Lakers changed travel plans after getting blown out by the Pacers, 136-94, flying out Tuesday night. By 10:30, the word had gotten out and Hooters started to empty. “LeBron’s gonna trade you” chants begin in Indiana. Anyways I am sure Lance was bummed. Hooters has great chicken wings.